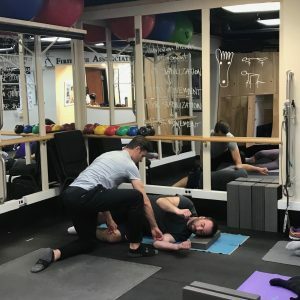 This series will correct movement dysfunctions that cause hip problems, including hip pain, arthritis, bursitis, IT band, piriformis syndrome, and low back pain. We will address stiff, weak hips and restore ideal hip-hinging movements for proper bending, lifting, sit-to-stand transitions and squatting. Fundamental hip movements for twisting, turning, and alternating hip movement patterns for walking, running, golf and tennis will be performed. This series will address movement dysfunctions that cause foot and knee problems, such as heel pain (plantar fasciitis, achilles tendinitis), ball-of-foot pain, bunions, hammer toes, toe numbness, knee pain, and arthritis. First Health Associates is located in the Professional Building at 2010 S. Arlington Heights Road, one block south of Golf Road on the west side of the street. Enter the far left entrance as you face the building. When you enter the building, there are signs posted directing you to the clinic. You can take the stairs or the elevator to the lower level. Upon exiting the elevator, turn right to get to the clinic entrance. If you have a chronic problem area, joint replacement or other issue, notify the instructor prior to starting the class.